Off-white may have dominated the walls in 2016, but 2017 is continuing its unpredictable streak with its slightly bolder color palette. Expect to see a lot of jewel toned living areas, deep navy cabinets, and hardware, as well as bright accent finishes. 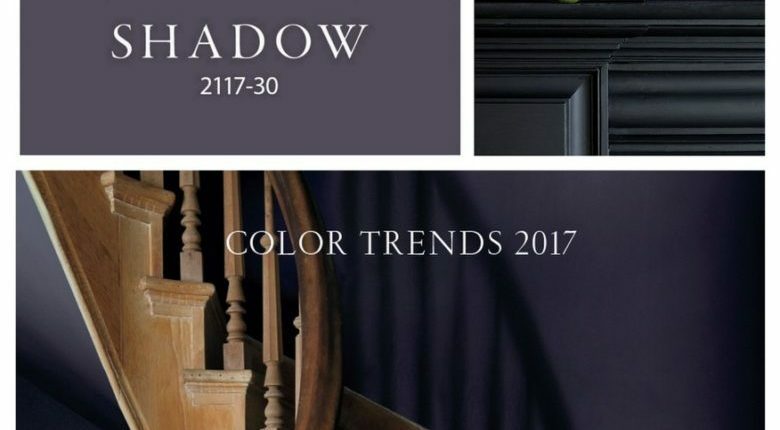 If stepping outside your comfort zone is in your design plan, some of these richer hues might be for you. Fear not if you are more of a “neutralist”, there are plenty of muted shades to fit your aesthetic. Described by BM designers as “emotional, complex and sure to spark some debate”, Shadow is a moody purple with murky gray undertones that look different depending on the time of day and lighting fixtures. Think drama, and romance in your home. 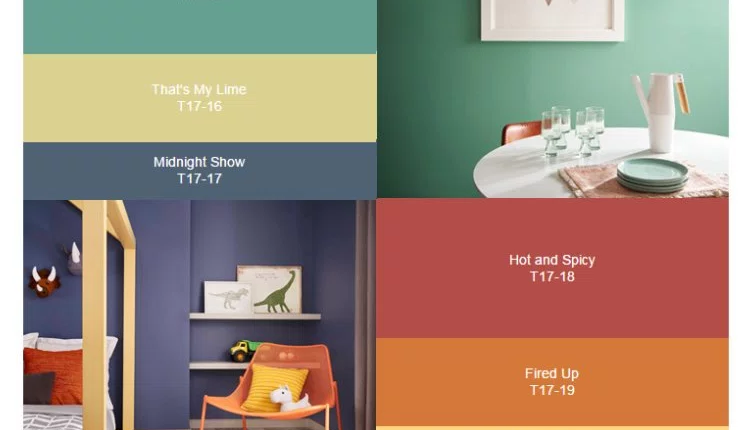 Behr’s approach for 2017 was “fashion-forward”, and segmented their color schemes into three unique categories, Comfortable, Confident and Composed, designed to harmonize with each other. There’s the pastel Life is a Peach, a red berry Artful Magenta, and an exotic blue-green Jade Dragon. 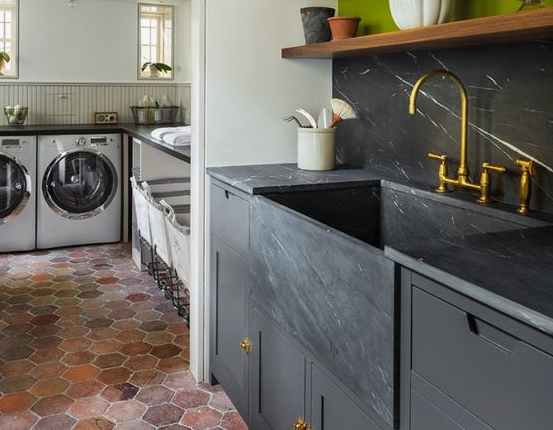 Playful shapes and vintage pattern floors are taking center stage. Classic and innovative designs can come together to make a statement, even a budget friendly one! 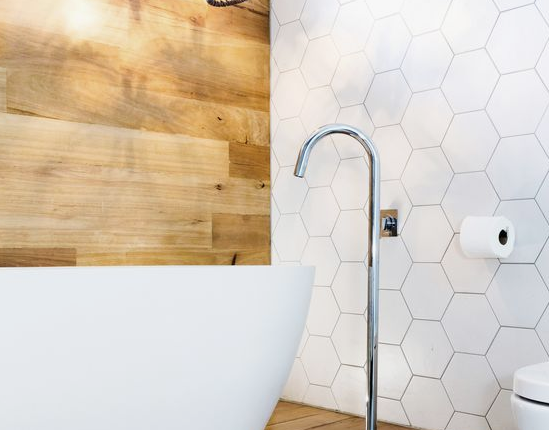 Hexagon tiles are a great accent to improve the atmosphere of nearly any room. 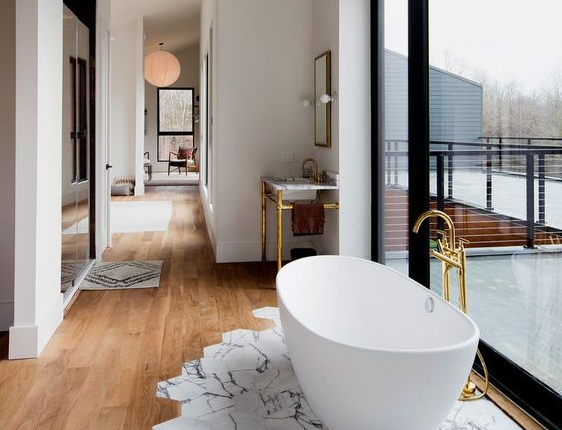 Add them to your bathroom to create texture, use them in rooms you utilize but don’t spend time in such as your mudroom, create a gorgeous backsplash in your kitchen, or add some geometric fun to your kids’ bedroom. 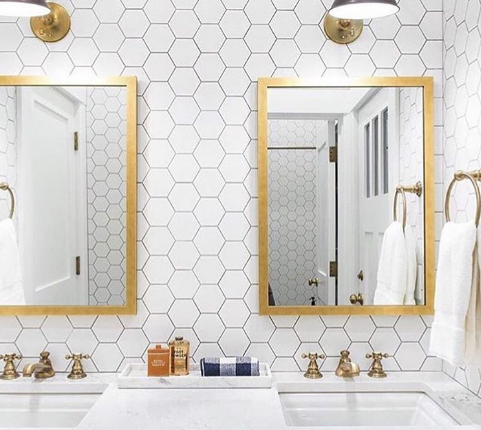 Hexagon tiles are great to mix and match with or use on their own. 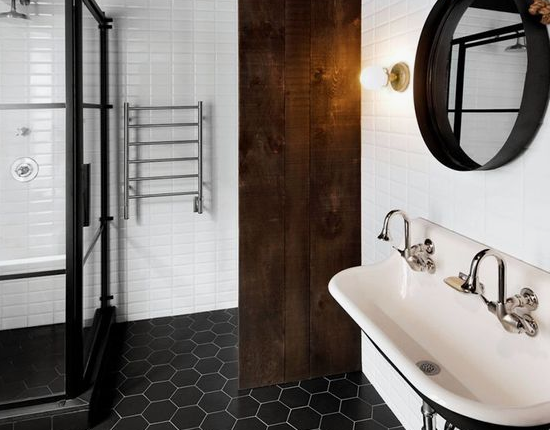 Subway tile is a great way to throw your kitchen and bathroom designs together. The pattern can be classic horizontal, vertical, or even herringbone, not to mention come in a variety of color choices. 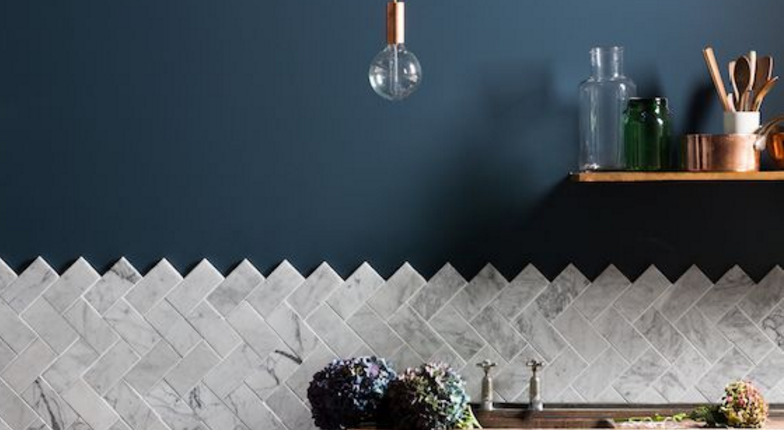 Contrast the tile texture with a different color grout to make your tiles pop. (P.S. We did this with our Poplar remodel!). 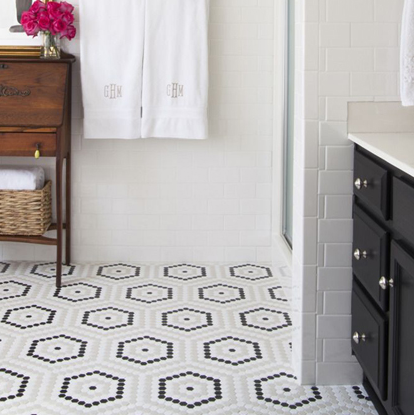 The classic white tile also works well with the color trends of 2017, so incorporate two trends while you’re at it. 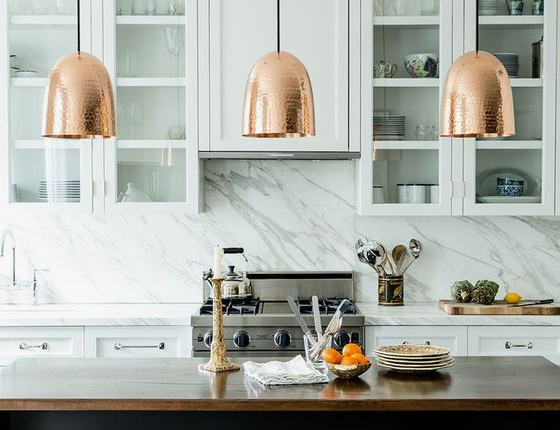 The two lighting trends illuminating 2017 are cozy Edison bulbs, and brass pendant lighting, in modern shapes in dining rooms and bedrooms. 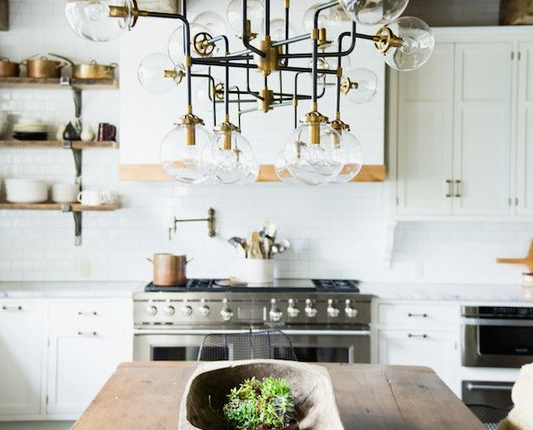 Edison bulbs take that fire-like glow and create a warm and inviting atmosphere, while brass pendant lights highlight one’s living space with a subtle yet elegant flair. 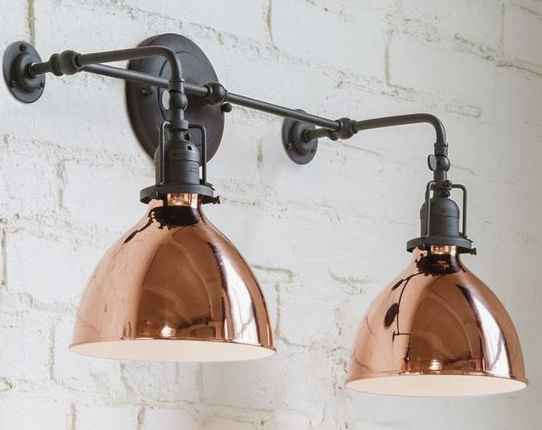 Exposed bulbs can achieve an urban flair, or ignite your nostalgia for a bygone era. Light up your industrial style home with a mid-century modern Edison bulb chandelier, or string the bulbs along your patio. What is old is new again. You’ll see a different range of brass finishes out there, from the darker antique finish to golden shiny finishes. The warm metal hue is a great trend to utilize because it works well with minimalists and statement junkies. Treat the brass like an accessory and you can have fun with cabinet hardware, and end tables too.